Respectmyplanet.org has created a new quarterly report called the USA H2 Infrastructure Quarterly Update. This is our 2nd report since our inaugural report on 12/31/2017, but our first with the new ‘quarterly’ title. You can read our first H2 infrastructure update report published in December by clicking here. A quarterly frequency should be appropriate to report on H2 station construction & news in the USA, but things are certainly happening faster now than they have in the past. This report may need to become a monthly report in the near future if the pace continues to quicken. More things H2 related are happening in the USA now than they ever have in the past. There were more data updates on the Alternative Fuels Data Center DB (AFDC database) this quarter than in any other quarterly period since 2011 when RMP began following H2 data updates. Many clues in the data at the AFDC indicate details are being updated with more precision and more care. Areas of the database that have been stagnate for months show recent update activity. RMP tracks every little change in every data record using special data analytics techniques. You can help RMP improve our research & publications by making a tax-deductible donation (USA only) by clicking here. 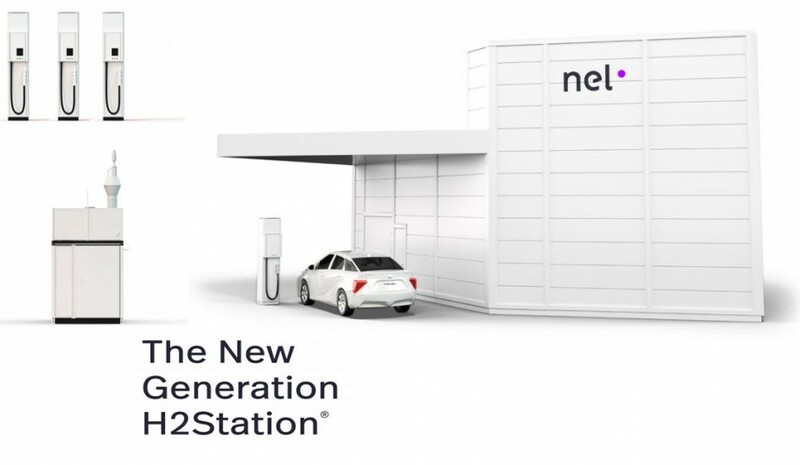 In other news, Nel ASA achieved UL certification for their H2 refueling station that in effect commoditizes an H2 fueling station design which should greatly reduce the cost to manufacture a fully functional H2 dispensation system. Each H2 station has UL certification designed right into the manufacturing process and is manufactured in accordance with all the applicable standards for safety. UL certification, carried out by a nationally recognized testing laboratory, is renowned as the most trusted and thorough third-party certification achievable in the USA and exemplifies the high level of safety of the H2Station®. Furthermore Nel ASA has the capacity to manufacture up to 300 H2 stations per year. Each station has the ability to fuel up to 100 passenger vehicles or 50 public busses per day. You can just imagine the H2 station proliferation that is around the corner. All the pieces are falling into place for increased proliferation of H2 infrastructure. In last quarter’s report, at 2017 year end, there was big news with many new Shell H2 stations planned for the San Francisco Bay Area. All told last quarter, 16 new stations were added to the AFDC database. While most of those stations were in the San Fran area there were also stations planned for Los Angeles, a connector station between LA & San Fran as well as a station in San Diego. All of those stations show a planned opening date in either mid 2019 or late 2019 according to a recent April 2018 download. By this time next year, the State of California will be very well positioned for the year 2020 which many consider the big fuel cell inauguration party at the Tokyo Summer Olympics. 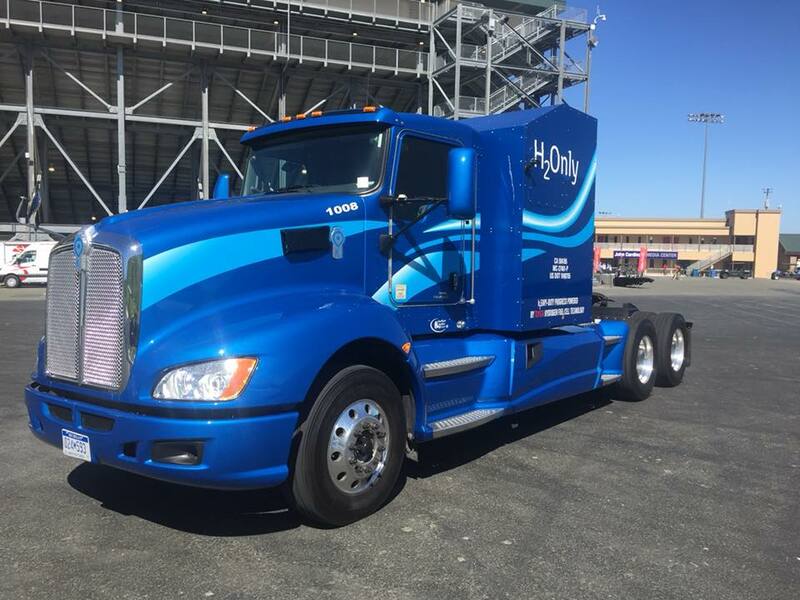 Two new Hydrogen Refueling Stations (HRS) opened to the public in California in 2018 Q1. A new Linde Public HRS in Mountain View California that was in the commissioning stage in 2017 Q4 opened to the public on March 8, 2018 with business hours from 6-10PM daily. The First Element station in Thousand Oaks California opened March 31, 2018 and the data in the data base was updated soon after on April 3 with that info. That quick update turn around time might sound trivial at first brush but as RMP has been following this data closely for some time, that level of attention to timely data updating is positive news that things are happening faster now with H2 infrastructure activity. Three stations that were on the database 2017 Q4 are no longer there when downloading fresh data in April 2018. A Linde Public HRS planned in Cupertino, CA (home of Apple HQ) has fallen off the list. Two planned Public HRS by newcomer HyGen have fallen off the list. One of those stations was planned for Rohnert Park, CA and the other was planned for North Hollywood. The three stations in California falling off the list were offset with three new stations planned for California from the company First Element Fuel. The three new First Element stations added to this quarter’s list are to be located in: Beverly Hills, Studio City, & Redwood City. The Beverly Hills HRS is tentatively planned to go on historic Wilshire Boulevard and does in fact have the same zip code as the famous TV show 90210. Maybe one day there’ll be a new TV show showing affluent Hollywood kids hanging out at the Peach Pit with their Toyota Mirais, Honda Clarities, Hyundai Nexos, and Mercedes GLCs all powered by zero emission renewable H2 made from energy & refuse that would otherwise have gone to waste. Did you get the Peach Pit reference, or am I getting too old? 9 stations in California had new updates & confirmations as well as the HRS at the Ohio State University Center for Automotive Research, which has some exciting things going on with Fuel Cell Busses. While California remains the state with the most public activity, there is news elsewhere too. Three stations in Hawaii saw data updates in this quarter. The station at Kilauea Military Camp is showing that its planned opening date is in July 2018. The station at the Hickam Air Force Base – Weapons Load Training Facility in Honolulu is planned to open in June of 2018. Also in Honolulu, the SERVCO station has an updated planned opening date of December 2018. In Connecticut, the Pride Service Center H2 station has had its open date slip to May 1st 2018. A public H2 station on the East Coast is a big deal. It will be interesting to see how much the East Coast data changes by July 2018 when RMP will again check quarterly data after June 30, 2018 and publish our next quarterly update. Lastly for 2018 Q1, it’s time to talk about how international collaboration is playing into our USA hydrogen infrastructure update. 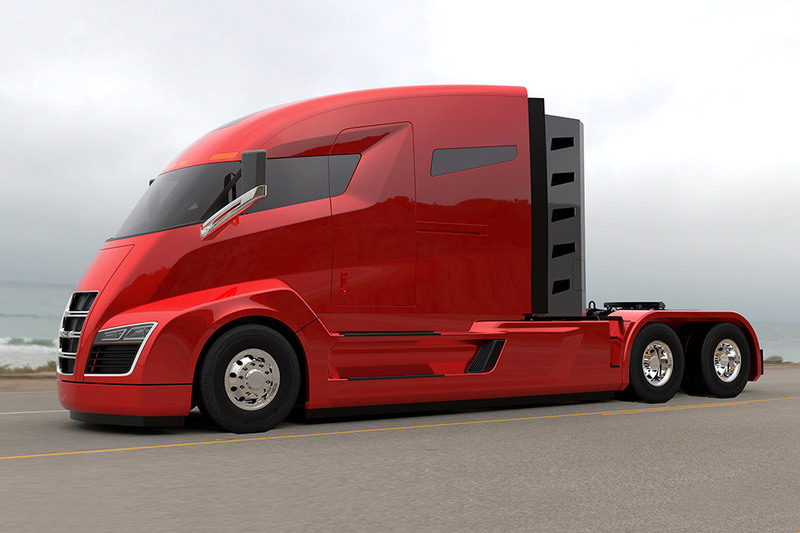 A company called Nikola Motors, headquartered in the USA, has made many announcements throughout 2018 Q1 about their forthcoming Class 8 trucks the Nikola One & the Nikola Two. Nikola said recently that PowerCell (HQ Sweden) will provide the 100kw fuel cell stacks for the heavy duty powertrain system. Even more exciting, was additional news from Nikola that two purchase orders were issued to NEL (HQ Norway) for 28 HRS stations for US $9M to be built to support Nikola’s Class 8 fleet of trucks. Nikola has said that H2 at their HRS would be available to all drivers of fuel cell vehicles including light duty to Class 6 to Class 8 vehicles. NEL boasted in April that their new UL certified HRS can refuel up to 100 passenger vehicles or 50 coach size busses per day. NEL also stated that their new HRS manufacturing facility can crank out up to 300 HRS per year. Think about that! 300 H2 stations per year that can each handle up to 100 car fillups per day! The forthcoming proliferation of HRS builders & competition between majors like Linde, Praxair, Air Products, Air Liquide, Shell, & NEL is just getting underway. These events are foreshadowing a cost drop from economies of scale that will drive the cost of world’s most abundant element to DOE targets in the coming years. The DOE targets near-term H2 prices at $2/GGE produced & $4.50/GGE delivered. GGE stands for Gallons of Gasoline Equivalent. And since H2 can be domestically sourced anywhere people live, the USA can cut our import/export deficit from petroleum to zero. That’s about $17.5 billion dollars each month that could stay right here in the USA vs going to Canada, Saudi Arabia, Niger, Venezuela, or any other country that imports oil to the USA. Some of those countries that get our money for oil don’t even like us very much. April 3rd press will be moved back a bit. The fleets have asked us to move it so they have time to prepare media. Exciting times so keep watching our Twitter. Looking like first week of May. The last bit of news to come from Nikola is a teaser. Nikola teased on Twitter that they would be announcing a major customer on April 3, 2018 that will put the Nikola Class 8 trucks to use all across the USA. A week or so later, Nikola said we would have to wait just a bit longer before they reveal who that customer is. The rumored date of the announcement is now some time in May 2018. Some people are speculating that it could be Budweiser, a company that has long been a steward of environmental responsibility. Others are speculating that it could be Wal Mart or Amazon, both of which already have multiple HRS locations because they’re running fuel cell powered forklifts at their distribution centers all over the country. Both Wal Mart & Amazon would be a great resource to expand HRS access to the public as all they would have to do is add public fueling pumps to their existing H2 refueling stations being used for their fork trucks. We will have to wait to see more information from Nikola to know who this ‘big’ customer is. Hopefully by the time the next installment of the H2 Quarterly comes out, we’ll be able to talk more about it. 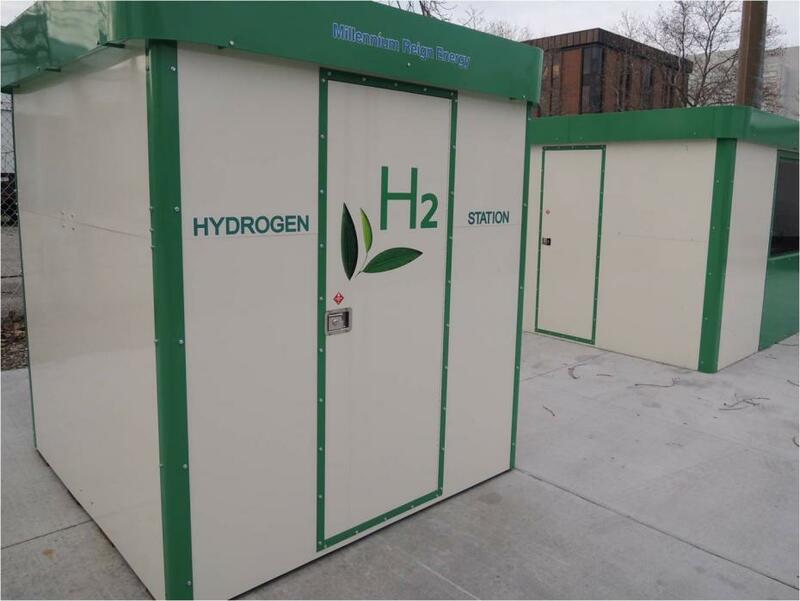 It’s been fun writing about H2 & fuel cells in this quarter’s edition of the USA H2 Infrastructure Quarterly Update. RMP has been following the H2 infrastructure subject from bud to bloom for many years now and it’s exciting to see the pace of activity picking up. Fuel Cell adoption rates are growing fast and indicators continue to point toward strong growth in heavy motive areas like Class 8 trucks, busses, trains, and heavy-duty construction vehicles. RMP is working on our next in depth story and Google Map covering the country of China. Stay tuned for our upcoming report & map on China. China H2 infrastructure research is going to be an excellent adventure. As always, you can check out RMP’s map of all USA H2 refueling stations by clicking here. Please like us on facebook and follow us on Twitter to keep up with us. RMP is a 501(c)3 non-profit organization that needs your support to grow. Please consider making a tax deductible donation using our secure PayPal site by clicking here if you can afford to help support us. Any little bit helps. Thanks for reading. Thanks Keith! & Thanks for the retweet on Twitter!